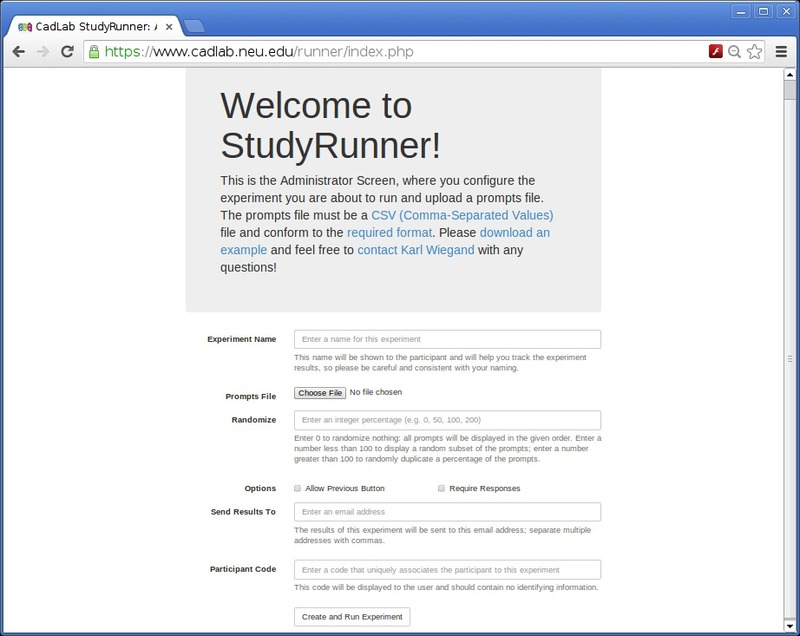 StudyRunner is a part of the CadLab's research infrastructure. The CadLab hosts many different types of researchers who need to design and run systematically controlled user studies. 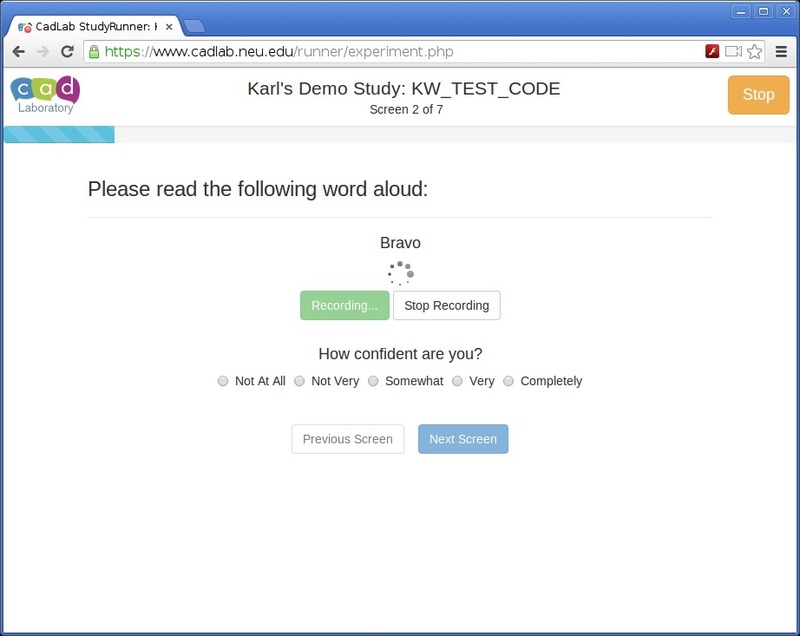 These studies are often stimulus-response studies in which participants are presented with a visual or auditory prompt (e.g. written text, an image, a video, or an audio file) and are asked to provide a response that may be spoken or written (e.g. multiple choice questions, check boxes, or free text). The purpose of this project is to create and maintain a flexible system that can be used by any CadLab researcher to easily create and run a stimulus-response study. 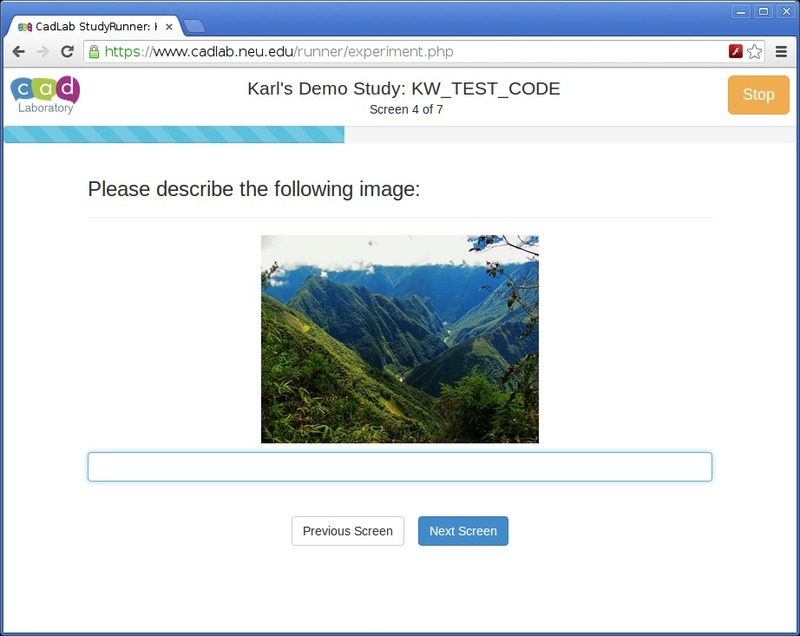 Before StudyRunner, the CadLab used MatLab scripts that needed to be extensively customized for each new experiment. This approach required a MatLab installation on every computer used in a study and an available programmer to modify the MatLab scripts. I created an initial prototype of StudyRunner as a thick-client framework, but ran into problems maintaining a smooth installation process for all of our Windows, OS X, Linux, and Android platforms. 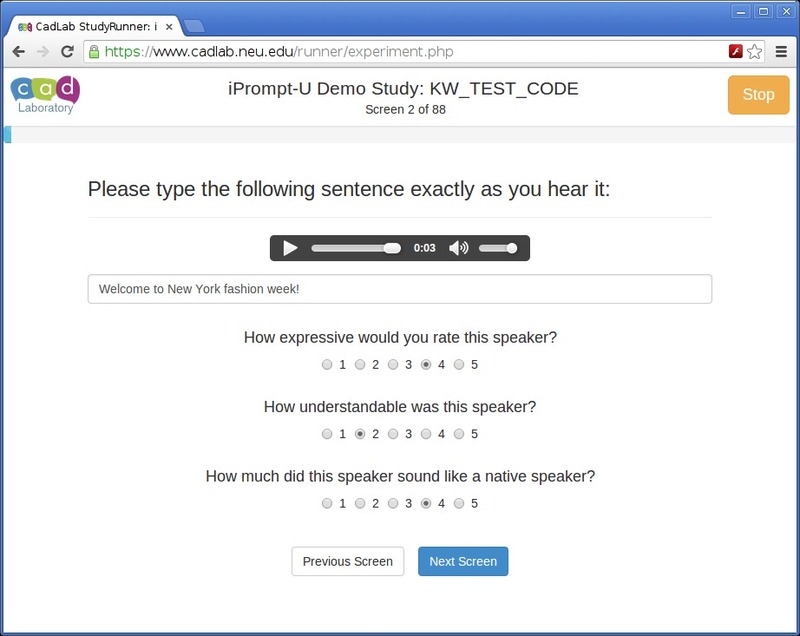 The latest incarnation of StudyRunner is as a Web-based framework using HTML5. 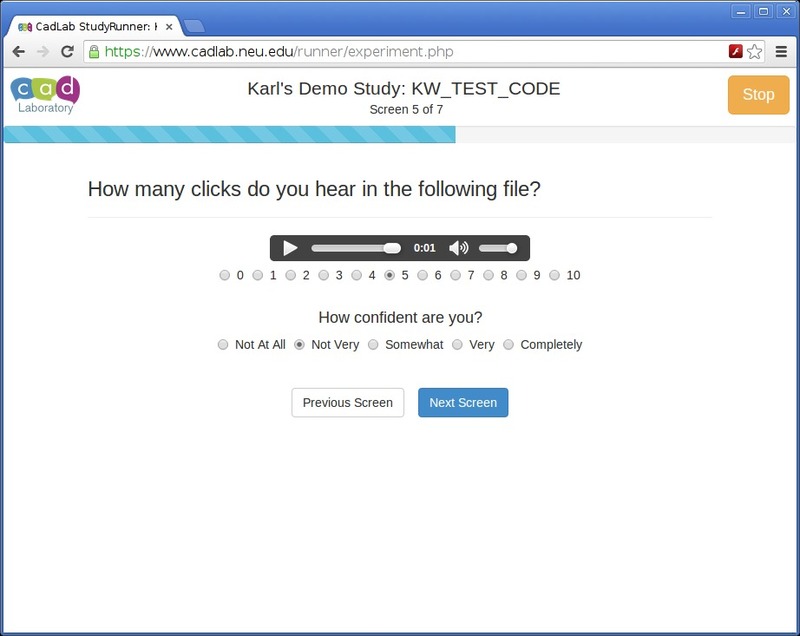 Researchers can design experiments in any spreadsheet program (e.g. Excel) using a simple, extensible syntax. To run a study, researchers upload the spreadsheet as a comma-separated values (CSV) file to StudyRunner, fill out a short form, and generate the experiment. Participants are systematically guided through the entire experiment in a user friendly interface, and the results are automatically backed up and delivered to the researcher electronically.